During the early 17th century Daniel Stolcius was a populariser of the symbolic tradition of alchemy. His Viridarium Chymicum published in 1624 has been described as "a pictorial encyclopaedia of 17th century alchemy", and is now well known and respected, since it has been republished in its entirety in recent years. His other major work, the Hortulus Hermeticus, copies of which are extremely rare, is not so well known. It consists of 160 emblematic plates, each with a short verse, each image and corresponding poem being perhaps intended as a meditative alchemical exercise. These 160 emblems provide an in-depth experience of the symbolic material of the alchemical tradition. 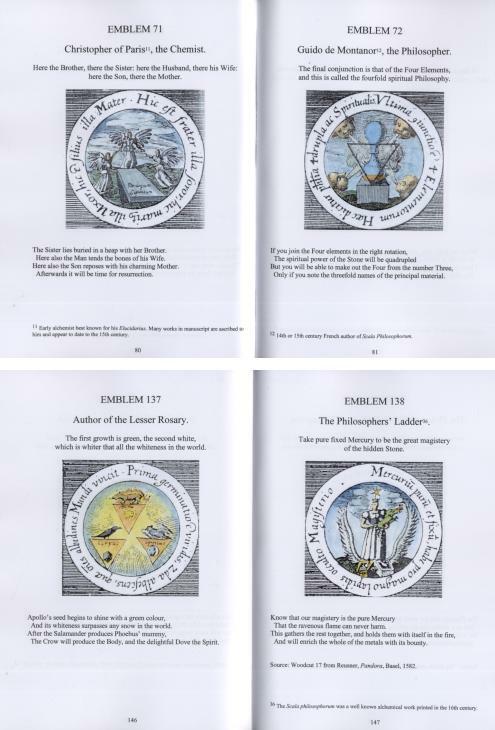 For the final copies of this edition Adam McLean made coloured versions of each of the 160 emblems which allows the imagery to be more accessible. Stolcius' Hermetic Garden is an essential sourcework on the emblematic tradition in alchemy. Limited edition of 250 copies. 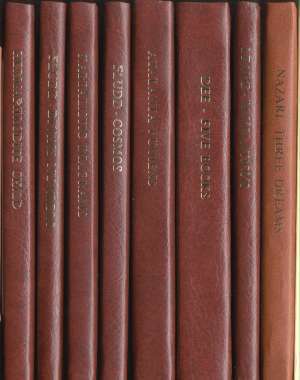 70 copies left to sell (as of September 2006). 169 pages. 160 coloured illustrations. A5 Hardbound. Sorry this book has now sold its edition and is no longer available.